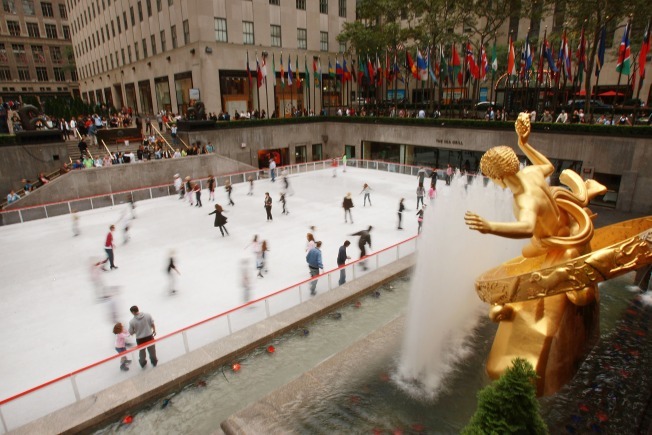 Just in time for the holiday season, the city's most famous ice rink at Rockefeller Center re-opened to skaters this morning. More than a quarter of a million skaters visit the rink between October and April of each year. On Monday, in honor of Columbus Day, skaters from the Ice Theater will portray Christopher Columbus and three shipmates. You can also look forward to the annual lighting of the Rockfeller Center Christmas Tree, slated to take place November 30. In the meantime, you can don your skates and enjoy the ice any day of the week. Check out the website for times and details on upcoming events.